Wow- 2013 you were a delicious year! Before we take a look at the most viewed recipes of 2013 let me just take a moment to say thank you. Thanks for reading my silly stories and laughing with me. Thank you for celebrating my joys and helping me through the tough times. This year was certainly one of highs and lows. You all followed along my journey as I trained for and completed my first half marathon. Wow. That was amazing. And you even hung around when I got very very sick and spent the better part of 3 months in and out of the hospital. Through months and months of surgery and recovery I had many many people send me encouraging emails, write delicious guest posts, and send me care packages that made me cry like a baby. Alright- let’s take a look behind the apron! 10. 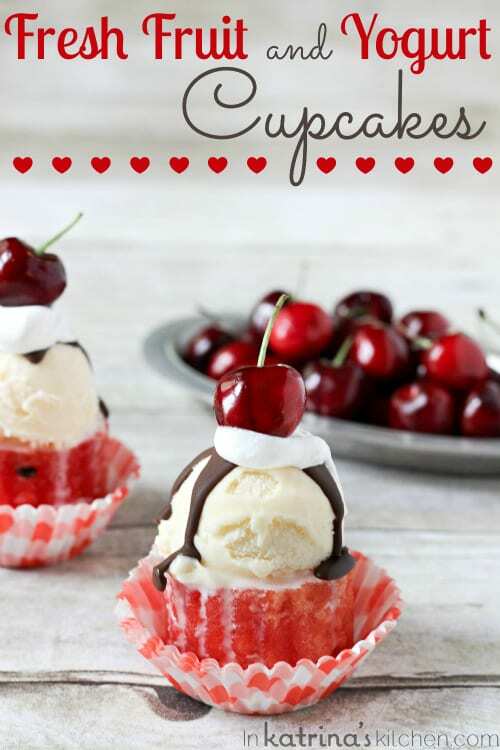 I LOVED these Fruit and Yogurt Cupcakes! I think it was my most favorite thing I photographed for the blog this year. 9. 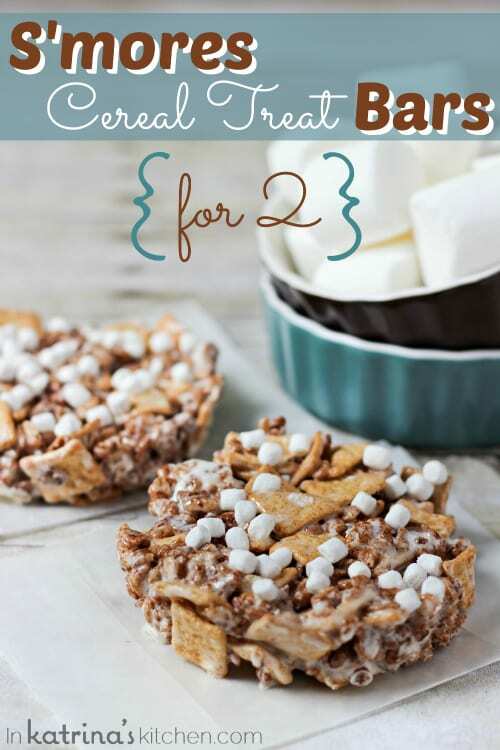 These S’mores Cereal Treats for 2 were an afterthought. I made a big pan of these treats to send to a bake sale, but when I saw the defeated little looks I was getting from my little boys because they couldn’t sample the goods I just had to throw together another batch. 8. 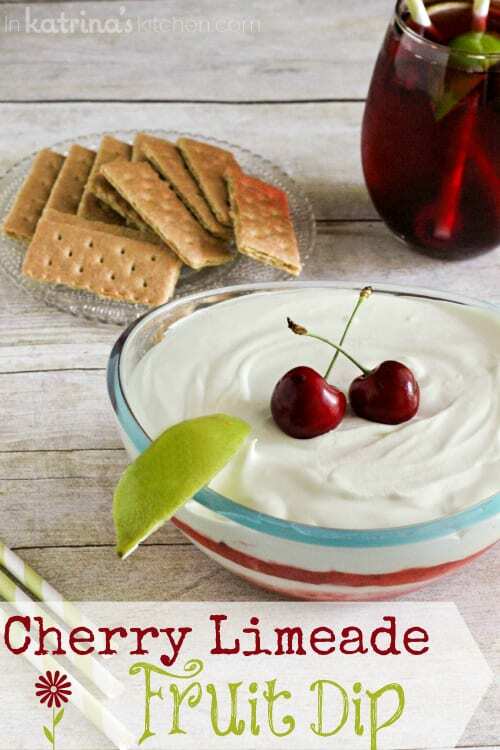 I am addicted to the tart and sweet flavor combination of cherry and lime together so this Cherry Limeade Fruit Dip hit the spot for me this summer. I sent it to work with my mom and they gobbled it up too so I thought it was delicious enough to share with you! 7. 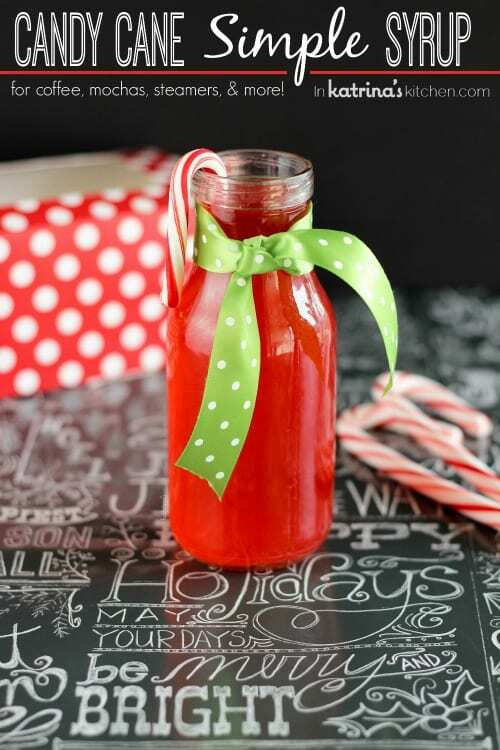 My husband just gave me the funniest looks when he saw me standing over a bowl of broken candy canes and water as I made this Candy Cane Simple Syrup. My love of flavored coffee runs deep so this did not disappoint. 6. I made A LOT of popsicles this summer. I’m so glad that you all loved these Kool-Aid Yogurt Pops as much as I did! 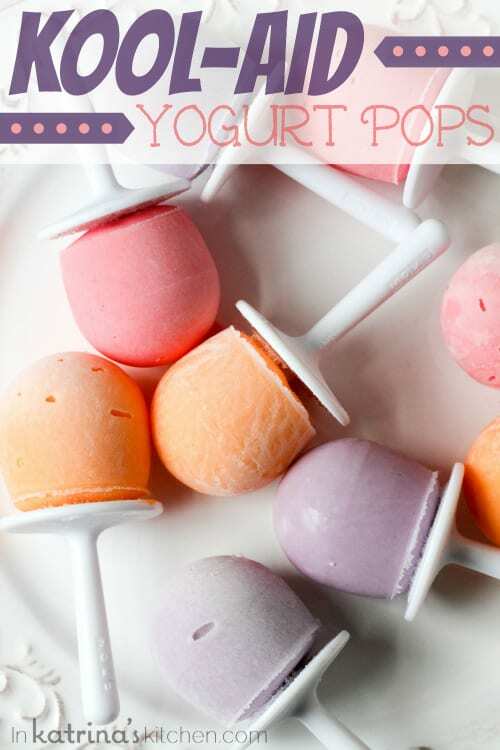 A nod to my favorite summertime treat as a kid, I added Greek yogurt to these pops to bump up the protein. Yum! 5. 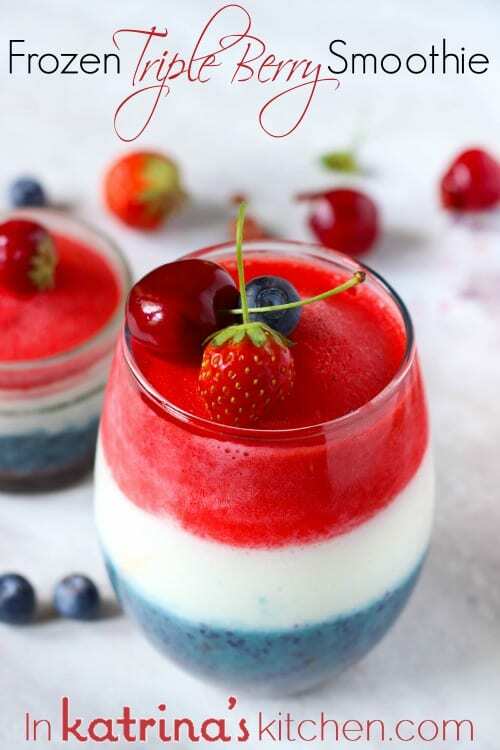 I almost didn’t post these Frozen Triple Berry Smoothies! 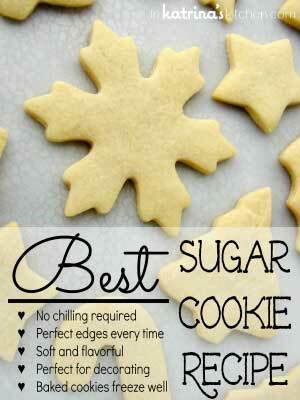 I whipped these up one morning for my sons and a few of their friends coming over. Ten minutes before my house was being torn apart by 5 boys I decided to snap a few shots of these smoothies. I’m so glad I did too because I just think they are gorgeous. 4. 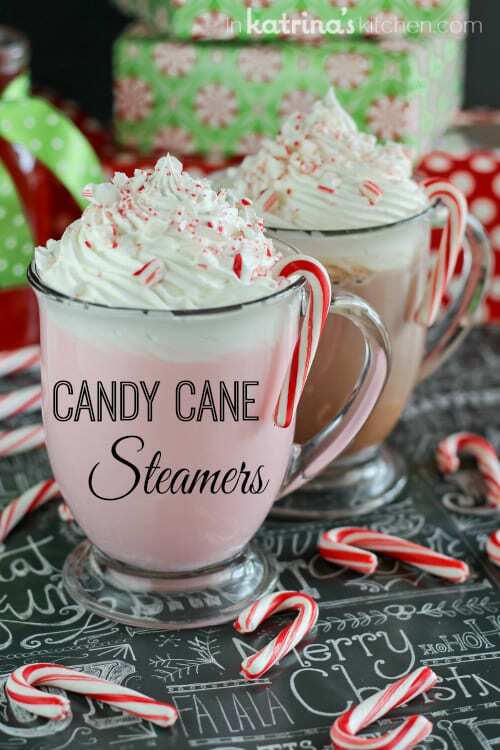 Wow- you guys LOVED these Candy Cane Steamers! Hot frothy milk steamed to perfection and flavored with candy canes- what’s not to love?! My kids devoured the pink one right after I took the last shot, while I enjoyed the mocha one and avoided wrapping Christmas presents. 3. Okay this one surprised me. 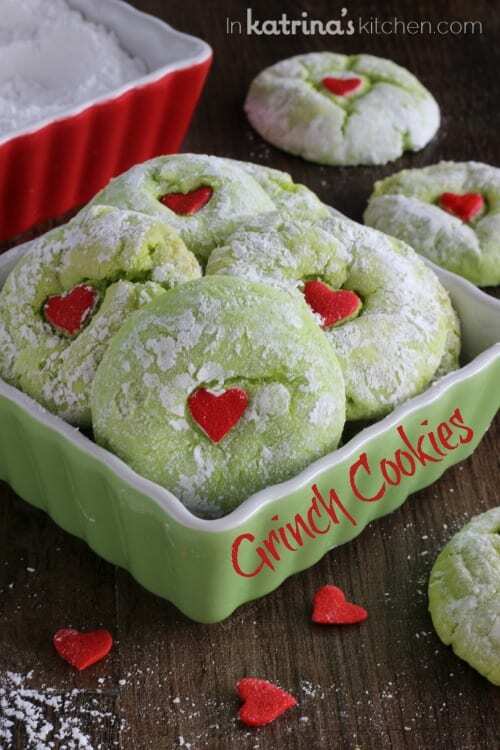 Posted only 10 days ago these Grinch Cookies flew up to third place of my Top 10 recipes for the whole year! They are cute and delicious…I made them 3 times in 10 days. The Grinch movie is one of my favorites every Christmas. I don’t know if it’s the hand-holding and singing, the sweet voice of little Cindy Lou Who, or Grinch’s heart being 2 sizes too small but it just gets me teary-eyed every time. 2. What can I say? I have little boys who love to play video games, and this is one I can play with them and somewhat understand what’s going on. 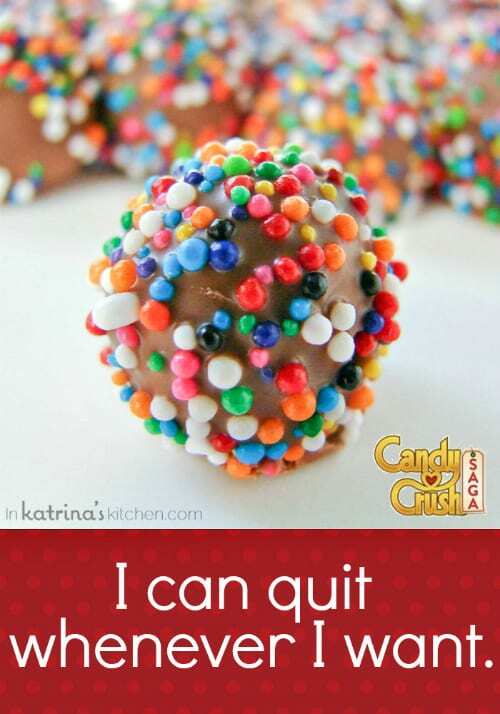 These Candy Crush Color Bomb Candies were fun to make and eat. I think I loved the pretty sprinkle-fied peanut butter cups and kisses even more though. 1. 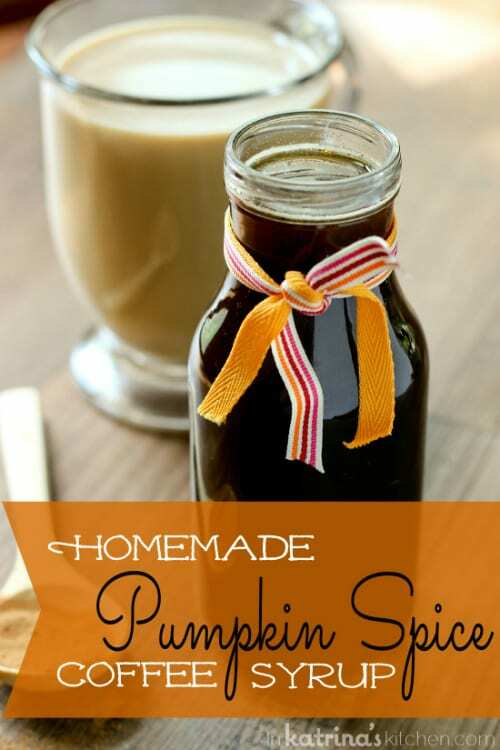 Little did I know the day that I posted this amazing Homemade Pumpkin Spice Coffee Syrup that I would be going into the hospital later that morning. So began my journey that took me on a very painful path for the remainder of 2013. Unfortunately this story is not over. I will again be meeting with my doctors early next week. As we enter 2014 I am hoping for some answers and some relief. 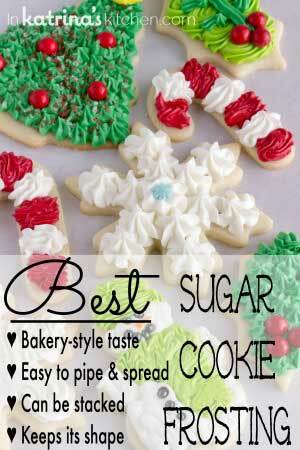 Lots of great sweets! 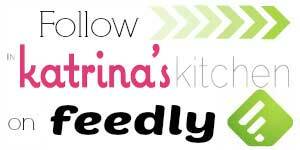 Those Grinch Cookies were repinned a lot when I pinned them (or at least a lot considering my average repins haha) Happy New Year, Katrina! Thanks Carla! Yeah those really took off for some reason. I won’t complain- they’re cute and delicious 🙂 Happy New Year!! Seriously girl! 2013 would’ve been so much worse without your help. Thank you for everything. Your friendship means so much. And thanks for the photography shout out… I still feel SO unconfident with my camera! Fake it till you make it, baby! 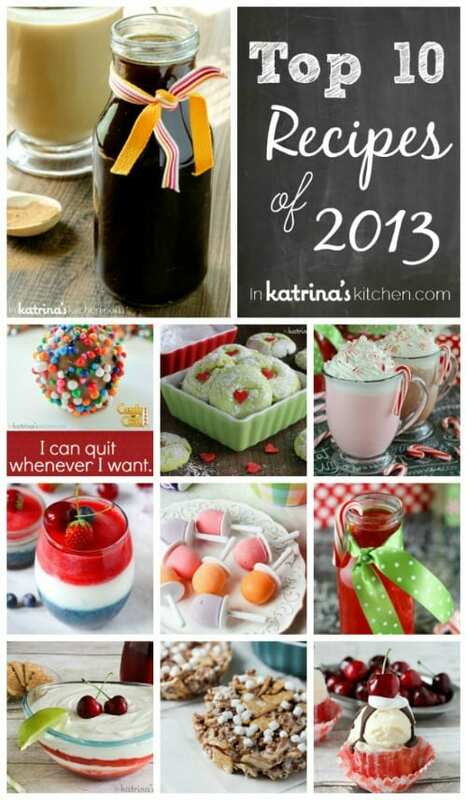 what a fun and delicious year Katrina!! I’m so happy your getting well! Can’t wait to see what you do in 2014! Happy New Year! 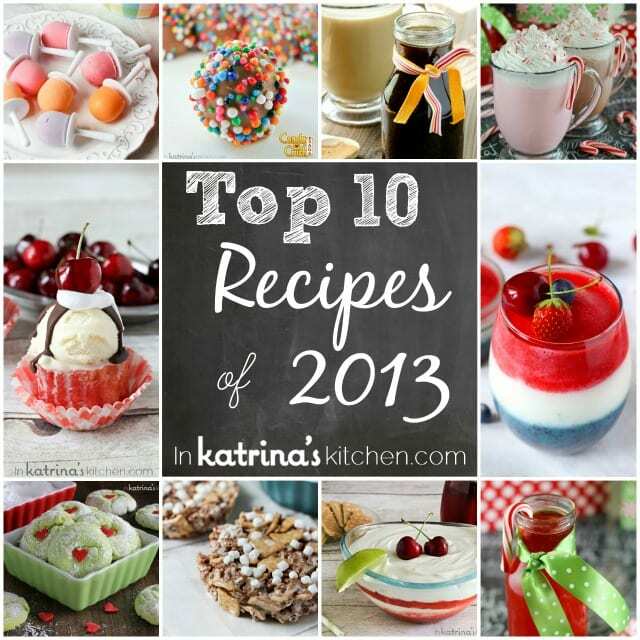 So many great recipes in 2013! So glad you are on the mend, and we will hopefully get to spend some time together in 2014! Thank you! I hope so too, Erin. Seriously you were so good to me this year. I appreciate your friendship and support while I went through such a difficult time. I love the candy crush color bombs! Very cute! Here’s to a great 2014! Thanks! Those were fun to make and eat 🙂 Happy New Year!! Loved all these recipes. Some I vicariously enjoyed through others! So glad you are getting better! I know amazing things are in store for you and your family! 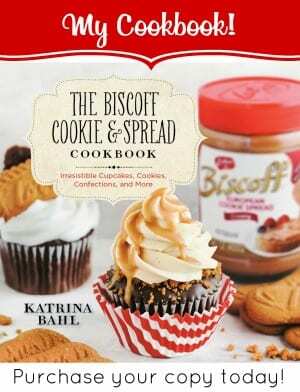 So excited to see what amazing recipes come in 2014. Keep inspiring Katrina! Thanks for always stopping by, Crystal 🙂 Happy New Year! Thanks Stacy! You are so encouraging. Happy New Year to you too!! I made your candy cane dip at the start of our holiday break. My husband gave me a similar you are crazy look…. but then he tried it and fell in love with it. We had it everyday with our coffee. Now its gone and I need to get some more candy canes to make another batch. What a great lineup Katrina! Everything looks so good!! 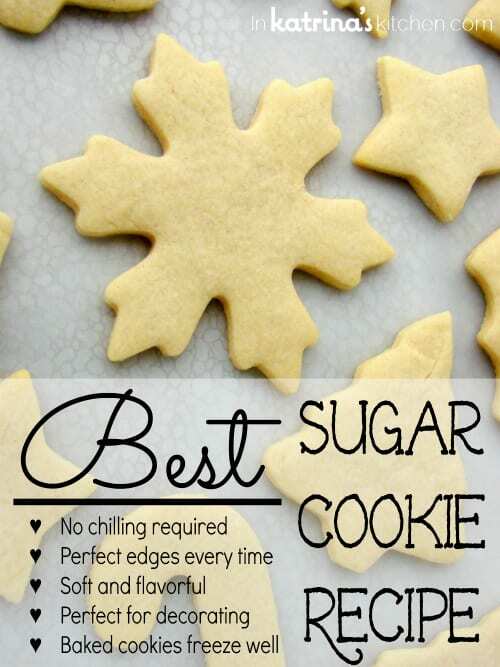 I love the grinch cookies…so cute! Hope you have a great new year! I’ve been eyeing your pumpkin spice syrup for a while now, trying to figure out if I can make it low carb! I know you can!! Thanks Carolyn. You never disappoint Katrina! Everything you make is always so fun and doggone delicious! 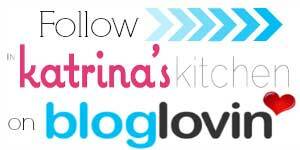 Your blog is a happy, happy place. On a more serious note I did not realize you had been sick for so long. I’d seen your hospital photo but it sounds that things really went on. I’m so sorry and hoping both that you are fully healed and that 2014 will be a banner year for you. What a sweet year with sweet treats. Hoping 2014 brings you better health my friend!